Dutch graduate designer Carolien Laro has designed a range of stools with flexible seats created by cutting slits into their solid wood tops. Check out how it works on the following video. How cool is that?! 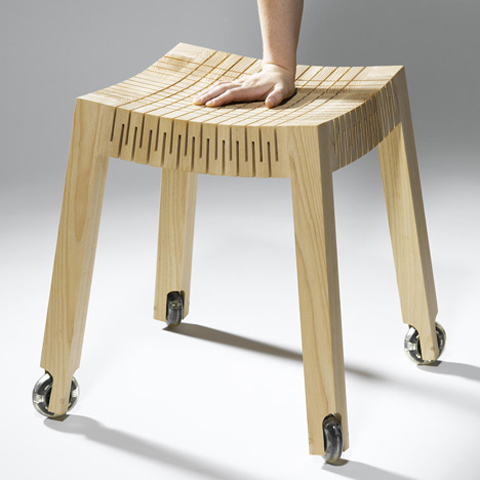 You are currently browsing entries tagged with stool at bravdesign.